What is Optic Atrophy (Optic Neuropathy)? Optic atrophy is an ophthalmic condition that affects the optic nerve, which is responsible for carrying impulses from the eyes to the brain. The term “atrophy” indicates the process of deterioration or wasting away. Death and/or damage of the optic nerve cells or optic neurons that are located anywhere between lateral geniculate body and retinal ganglion cells leads to the development of symptoms associated with this condition. Optic atrophy cannot be classified as a disease; rather it is a symptom of a possibly more serious condition. It can be caused by various forms of pathologies and might ultimately lead to severe vision problems and blindness. Optic atrophy is also referred to as Optic neuropathy. If the signs of Optic neuritis are observed on an MRI, alongside the presence of multiple demyelinating brain (white matter) lesions, multiple sclerosis might be present. A medical exam of optic nerve using an ophthalmoscope might show a swollen nerve; alternatively, it might also appear normal. The presence of reduced color vision, visual field loss and afferent pupillary defect suggest optic neuritis. Although a patient might recover within 10 weeks, he or she may also suffer from permanent axonal loss and/or thinning of fiber layer of the retinal nerve. These are caused by insufficient flow of blood or ischemia to the optic nerve. Blood is supplied to the anterior optic nerve by short posterior ciliary artery as well as choroidal circulation. A pial plexus originating from anterior communicating arteries, the ophthalmic artery, the anterior cerebral artery as well as the internal carotid artery supply blood intraorbitally to retrobulbar optic nerve. Ischemic optic neuropathies can be classified on the basis of the location of damage as well as the factor responsible for reduced blood flow. Anterior ischemic optic neuropathy or AION involves diseases that negatively affect optic nerve head as well as cause swelling of optic disc. These conditions frequently cause rapid and sudden visual loss in one eye. Inflammatory disorders of blood vessels, such as polyarteritis nodosa, giant cell arteritis, Wegener’s granulomatosis, Churg-Strauss syndrome, as well as rheumatoid arthritis can lead to arteritic AIONs or AAION. Most AION cases are non-arteritic AIONs or NAIONs. NAION is often experienced as pain-free loss of vision that mostly occurs after awakening and may last for several hours or even days. Most patients complain of losing the lower half of the visual field or inferior altitudinal loss, although superior altitudinal loss can also be seen. The pathophysiology of non-arteritic anterior ischemic optic neuropathy is not known, but is related to impoverished circulation in optic nerve head. 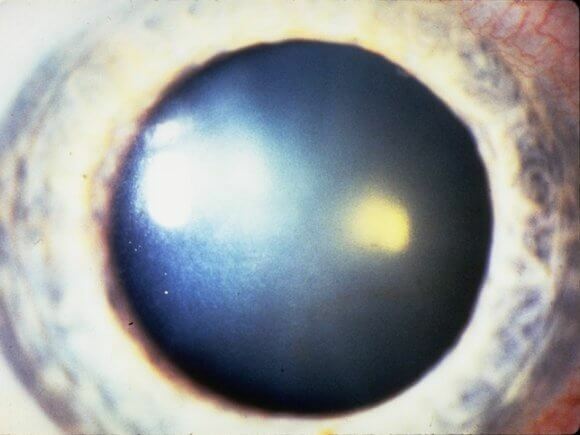 NAIONs are frequently associated with elevated intraocular pressure caused by factors such as acute glaucoma and eye surgery, hypercoagulable states, diabetes mellitus, high cholesterol, a drop in one’s blood pressure due to eye surgery or acute glaucoma (glaucomatous optic neuropathy) and sleep apnea. Erectile dysfunction drugs, interferon-alpha and amiodarone have also been associated with NAIONs in some rare instances. It occurs when a patient experiences sudden visual loss without any signs of initial disc swelling that occurs with subsequent progression of optic atrophy. Posterior ischemic optic neuropathy can occur in individuals predisposed to NAION and AAION as well as in people spinal or cardiac surgery or serious hypotension episodes. Radiation optic neuropathy or RON is believed to be caused by ischemic factors and occurs anywhere between three months to eight or more years after the brain and its orbit have been exposed to radiation therapy. It can cause radiation retinopathy or damage of the retina, which leads to severe vision loss, and is believed to occur as a result of damage to the dividing glial and the vascular endothelial cells. Interferon treatment for Hepatitis C virus can also cause optic neuropathy. Direct or indirect injuries can cause damage of the optic nerve. A head trauma can disrupt the anatomy and functions of optic nerve, especially if the intracanalicular area of the nerve is affected. Motorcycle accidents or falls can lead to loss of consciousness that is linked with multi-system trauma as well as serious brain injury. In some rare instances, an orbital hemorrhage following an injection behind eye can cause trauma to optic nerve. However it can be managed quickly if it does not involve a direct optic nerve wound and is detected early. In patients having an orbital fracture, nose blowing or vomiting can inject air into orbit which can lead to damage of optic nerve. 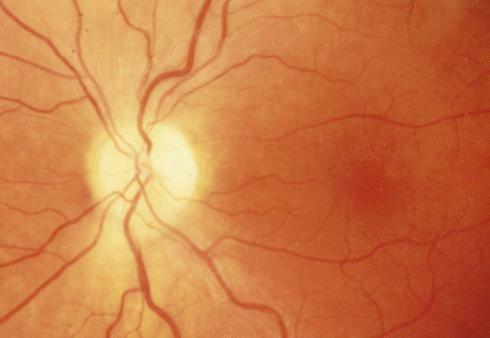 Various problems, such as inflammations, infections and tumors might infiltrate the optic nerve. The tumors can be both primary (cavernous hemangiomas, capillary hemangiomas and optic gliomas) and secondary (lymphoma, leukemia, nasopharyngeal carcinoma and metastatic carcinoma). Sarcoidosis is the most common type of inflammatory disorder that affects the optic nerve. Opportunistic microbes, like viruses, bacteria or fungi can also infiltrate optic nerve. Patients may exhibit proptosis (bulging of the eye) and with mild color deficiencies and near-normal vision with swelling of the disc. Mitochondria plays an essential role in managing the operations of the retinal ganglion cells due to their high energy requirements. Various factors, such as vitamin depletion, genetic mutations, tobacco and/or alcohol abuse or drug abuse, can hamper efficient transportation of mitochondria that might lead to primary or secondary form of optic atrophy. Toxic optic neuropathies might occur from intoxication from substances such as methanol, ethylene glycol, ethambutol, amiodarone or tobacco. An undernourished individual suffering from low protein and vitamin levels may develop optic atrophy. Vitamin B12 deficiency might occur due to a gastric bypass surgery. Patients may experience disturbed color vision and vision loss, although blindness is rare. Hereditary optic neuropathies normally manifest as bilateral, symmetric central vision loss. Damage of the optic nerve is progressive and permanent in most cases of hereditary optic neuropathies. Some of these neuropathies include Leber’s hereditary optic neuropathy or LHON, Dominant optic atrophy and Behr’s syndrome. Although the signs and symptoms discussed above do not necessarily indicate this disorder, an individual should contact an eye expert immediately if he or she is having these symptoms. There are no definite cures for this condition at present. Once degeneration of the optic nerve fibers begin, it is not possible to reverse the process. However, treatment initiated before the progressed development of this condition can help in saving one’s vision. Intravenous steroids have proven to be effective in managing cases of arteritic anterior ischemic optic neuropathy or optic neuritis. Idebenone is a quinone analog that has been used to treat Leber hereditary optic neuropathy. Although it does not improve one’s vision significantly, it does resolve discordant visual acuities that patients might suffer from. Patients can be given water soluble vitamin supplements such as Cyanocobalamin (Nascobal) which are essential for normal metabolism as well as DNA synthesis. Currently, researchers are evaluating the effectiveness of stem cell therapy to amend optic atrophy. The best way to manage this condition under the present circumstances is to diagnose the condition as quickly as possible and manage the underlying causes responsible for optic atrophy. A patient may suffer from complications related to the underlying factors responsible for causing this form of atrophy. Loss of vision may occur in severe cases. The outcome for patients of this disorder tends to depend on the underlying factors responsible for the condition. If optic neuritis is the main reason for atrophy, a patient can regain his or her visual abilities once the inflammations recede. If the affected individual has glaucoma, it can be treated successfully and the atrophy will then progress more slowly. Early detection of a tumor can be followed up by appropriate treatment which helps to ease the pressure on optic nerves and thereby prevent further damage. However, the vision of the affected individual may not improve if there are some other causes responsible for optic neuropathy. It is vital to protect the healthy eye as vision loss caused by degeneration of the optic nerve cannot be normally prevented. The following images exhibit the condition of the eye affected by Optic atrophy. Optic atrophy is not a disease itself but occurs as a secondary process to many other disorders. It is diagnosed with various visual and imaging tests. It should be diagnosed as early as possible, as this can give a doctor a bare minimum chance to save the vision of a patient.